Sleep Disorders Center for Diagnostic and Treatment of various sleep disorders. Accredited with The American Board of Sleep Medicine. Sipe Mower & Equipment was established in 1974 and has grown into the leading independent lawnmower, outdoor equipment, and small engine sales and service center in the Carlisle, PA area. Tom Wilkins, the owner of Sipe Mower & Equipment has a priority in business and that is to provide their customers with friendly, quality service and the best parts & equipment at a fair price. Sipe Mower & Equipment has earned a reputation for providing excellent, quality service to their customers. They provide service and parts for a wide variety of home, yard, garden, outdoor, small engine products and manufacturers. They take a personal interest in giving each customer great personal service, and are available to answer your questions to help make sure that you get the right equipment or part. The mechanics at Sipe Mower & Equipment will keep your mowers, trimmers, chain saws, blowers, edger’s, generators, even your go-cart and other motorized equipment tuned up and in great working condition. Letort Glass occupies 2,000 square feet in a warehouse studio. The open floor plan is sky-lit directly over a large work table. Customers enter the shop through a gallery of Deborah Feller’s (owner) finished stained glass work. Expamples of fused and finished work of all kinds hangs from the ceiling and walls throughout. All finished items are for sale as well as supplies for stained glass and fusing glass hobbists. Class schedules are posted on the website. The responsibility for this community ultimately falls to our Borough Government. That does NOT mean that they do it all. We all share in the responsibility for this effort and it’s implementation. It does, however, mean that the Borough has the responsibility to show leadership in this effort themselves and through their appointees. I would suggest a moderated, strategic planning meeting, hosted by the Borough at a public place in the downtown. The critical participants are the Borough of Carlisle, Cumberland County, the Chamber of Commerce, and the Downtown Carlisle Association. Other individuals or organizations such as the Historical Society, Dickinson College and others deemed necessary should also be included. The object of this meeting is to design a specific action plan and assign responsibilities, with the ultimate goal of reshaping the Downtown Carlisle Association into a true marketing office. This office would be responsible for promoting and marketing Carlisle to the outside world, with a view to attracting people to Carlisle and its downtown for shopping, tourism, recreation, education, and culture. Concurrently, efforts should continue for attracting and recruiting quality merchants to the downtown. • Establishing of a committee responsible for moving this forward. • Outlining the scope of responsibilities of a rebuilt DCA. • Identifying initial funding sources (to cover first 5 years). • Identifying tasks and entities responsible for them. • Establishing of a timeline for completion of actions. • Establishing of any other subcommittees needed. Thank You for . . .
taking the time to look this over. This document is meant to bring attention to a serious situation in our community. None of this will change overnight, but it will change, to first stop our decline and then to move us forward. Carlisle is a beautiful, historic and charming town with tremendous potential to thrive, and not just survive. This effort requires some courage and effort, but we have nothing to lose and the world to gain. In the 1970’s the only efforts to market Carlisle were by the merchants themselves. For many years they met once a month for a breakfast meeting at the old Bellaire House Restaurant, first as the Central Carlisle Business Association then as the Downtown Business Association. Essentially, the marketing efforts were of group advertising in the local newspapers and radio, holiday specials, and a one big annual event, “Sidewalk Sales” in July. The effect of two malls on the edges of Carlisle had already wrought dramatic change in the downtown (and in downtowns across America). Stores like Montgomery Wards, Penney’s, The Bon-Ton, Wengers, etc., moved to the malls. The downtown still had a lot to offer in its owner-operated stores and restaurants within a beautiful and historic downtown setting. It was obvious, however, that marketing efforts needed to be increased to attract new businesses and people. We needed a person who was paid to work on these efforts constantly and consistently, rather than relying on volunteer merchants who already had a lot to do just running their businesses. In 1980, the Carlisle Chamber of Commerce, under the leadership of then president Len Doran, proposed the formation of an organization and the hiring of an individual whose job would be to coordinate existing marketing efforts and develop new ones. They would create new opportunities to celebrate Carlisle and bring outside people to the downtown. There would be a board of directors with regular meetings, and various committees would be developed for events, beautification of the downtown, economic development, membership, etc. Initially, the Chamber of Commerce and the Borough each contributed money toward a matching grant from the state’s Department of Community Affairs (today called the Department of Community and Economic Development). The grant was made for each of three years, and after that the state grant ended. Local businesses and industries were also solicited and donated over $25,000. The idea was that after the grant ended, Carlisle would see the benefits of the program and continue to support it. In Carlisle’s case, we did, but a number of communities across Pennsylvania didn’t. Many essentially lost their downtowns as far as economic effectiveness or meaning to their communities. Carlisle’s program, started in 1981, was initially called the Carlisle Economic Development Center. Today it is called the Downtown Carlisle Association (DCA). Since its formation, the DCA has continued to develop group advertising ideas, new events (Octubafest, Street Hoops, Corvette Parade, etc. ), financial assistance programs for facades and signage, and new marketing tools in the form of a Carlisle brochure and video, etc. Originally the goal was to draw people from the surrounding local areas to Carlisle. 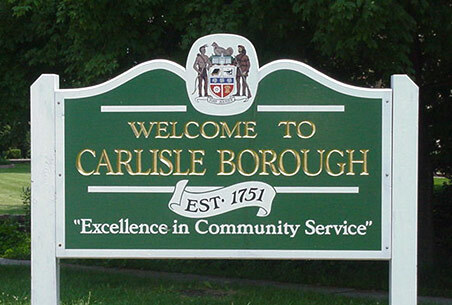 As the years have gone on though, it has became apparent that for Carlisle to really thrive and prosper, we need to draw people to Carlisle from out of the area, i.e. Baltimore, Washington D.C., Philadelphia, northern Virginia, etc. At the same time, we also need to attract competent merchants to the downtown. Other, positive developments in the downtown have been the Carlisle Theater, the downtown hotel, and the parking garage as well as the Carlisle Arts Learning Center and the expansion of the Cumberland County Historical Society. Additionally, we are seeing the redevelopment of the old Woolworth’s building and the fire ravaged properties on the corner of High and Pitt Streets. From the DCA’s beginning in 1981 and into the 1990’s, Carlisle had turned its downtown around and improved it significantly. consistent, quality services possible at a fair price. Our goal is to establish ourselves as one of the most trusted names in the community! A ministry encouraging everyone to study their Bibles for a ‘Thus Saith the Lord’. 1. We are not a church nor are we trying to replace the church. We encourage regular church attendance (based upon Hebrews 10:25). 2. We are not a following but we encourage people to properly follow every word of God (based upon Matthew 4:4). 3. We are an international, non-profit, personal ministry team. Our Mission: We strive to offer the best full service salon to our local community. Company Profile: We have been in business since 1995. 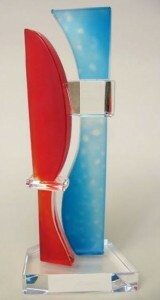 We offer a full line of hair care products. What do other people say about our company? We have been told that we are one of the best salons in the United States. We have serviced customers from all 50 states and many from other countries. This is the official Carlisle Borough website. You can find a brief history and community focus of Carlisle. There is a bit of information on the site – but it is not all linked from the main pages. My suggestion is to use the search box for page results. However, browsing the site does present some interesting information.